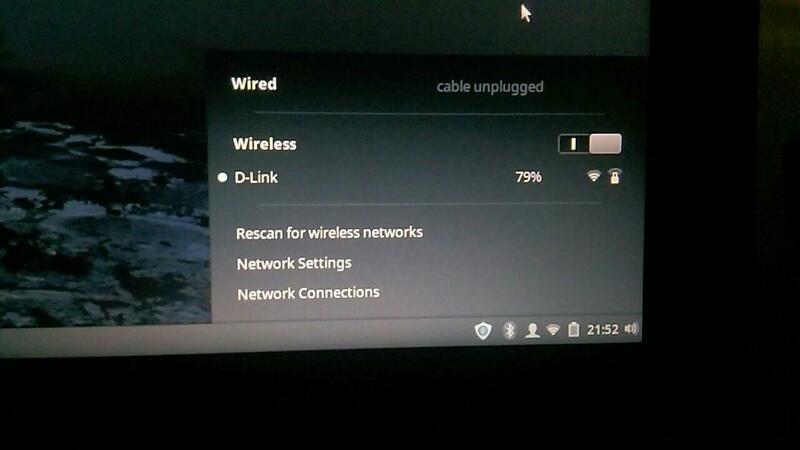 I've been doing a lot of Linux Mint installations lately and one very annoying thing that I found in 2 laptops was the non availability of WiFi driver. Apparently, it's a new hardware and is not in the Linux kernel. The hardware is Realtek device d723. This new WiFi hardware is being shipped in new PCs and laptops now. Without having the internet, one can't do almost anything. So it's important to have this fixed up. If method 1 doesn't work for you, try method 2 or method 3. This is the RECOMMENDED METHOD because in future, when kernel is updated, the installed driver will be automatically compiled to make it work in newer kernel. We're gonna use the driver available in this GitHub repository's extended branch. Restart your computer. And you'll get your WiFi ! After that the drivers are enabled using the modprobe command with sudo. PS : Thanks to Bruno Loy for confirming that this works ! smlinux has made a driver for d723. Compiling it and installing it will help you connect to WiFi. The driver is different according to the Linux kernel version. Only the driver to download will vary. Rest of the installation steps are the same. Now let's build the driver and install it. The easiest solution is to disable Secure Boot in UEFI settings. Solution here. Replace gedit above with whatever text editor you have. Replace ant_sel=1 above with the one that worked for you. Either '1' or '2'.